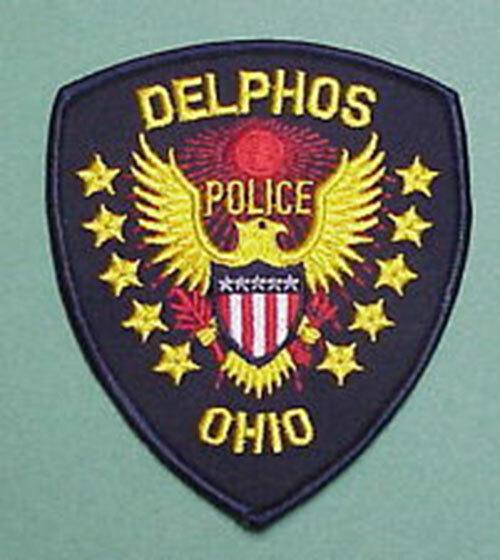 DELPHOS — On Nov. 17, officers investigated an assault that took place between two juveniles. Officers spoke with all parties involved and found that one of the male juveniles had struck another male juvenile. It is undetermined if any charges will be pursued at this time. On Nov. 18, an officer on patrol conducted a traffic stop on a vehicle after observing it being operated with a registration violation. During the traffic stop officers found probable cause to arrest the driver, 44-year-old Brian Walker of Van Wert, for operating the vehicle while intoxicated. Walker was issued a citation for OVI and will appear in Van Wert Municipal Court to face the charge. On Nov. 18, officers were sent to a residence in the 900 block of Lima Avenue to investigate a stolen motor vehicle complaint. Officers met with the vehicle owner and found that it was taken by her brother after she informed him that he could not drive it. A short time later, officers found that the vehicle was located in Van Wert and the driver, 25-year-old Adam Partin, had been arrested for OVI. The vehicle was returned to the owner and Partin will be facing charges for unauthorized use of a motor vehicle when he is released from jail. On Nov. 20, officers were dispatched to a domestic dispute in the 800 block of Skinner Street. Officers arrived and met with two males at the residence. Each one claimed that the other had started the dispute and claimed that it had become physical. Officers could not determine a primary physical aggressor and decided that no charges would be pursued. On Nov. 21, officers were met at the police department by a male and female involved in a child custody dispute. After a short time, it decided that the children would go with their father for visitation. On Nov. 21, officers along with Delphos Fire and Rescue were dispatched to the 1100 block of Elida Avenue after receiving a call of a male slumped over in his vehicle. Officers and Fire and Rescue personnel arrived and located the male, later identified as 37-year-old Jason Kimmet of Delphos. Officers began speaking with Kimmet, who appeared to them to be under the influence of an unknown substance. Officers conducted a series of field sobriety tests and found probable cause to arrest Kimmet for physical control of a motor vehicle while impaired. During a search of Kimmet’s person, officers found him to be in possession of two hypodermic needles, one of which was loaded with a clear substance. Kimmet was charged with physical control, possession of drug abuse instruments and suspicion of possession of a controlled substance. He was transported to the Allen County Jail and will appear in Lima Municipal Court to face the charges. On Nov. 24 officers were sent to the 800 block of Skinner Street, where they met with a male and his partner at their residence. Both males stated that they were involved in a dispute in which one of the males began destroying property inside of the mobile home. Officers advised the aggressive male to leave the residence for the time being and explained the eviction process to the other male. On Monday, officers along with Delphos Fire and Rescue were sent to a residence in the 400 block of North State Street after a male there had possibly tried to harm himself. Officers and Fire and Rescue personnel located the male and he agreed to be transported to the hospital for treatment. On Tuesday, an officer on patrol conduct a traffic stop on a vehicle after observing, 34-year-old Meagan Grothouse of Van Wert, operating the vehicle. The officer had prior knowledge that Grothouse had a suspended driver’s license. She was issued a citation for an FRA non-compliance suspension and will appear in Lima Municipal Court to face the charge. On Tuesday, officers took a report from a male who stated that someone used his information to receive donated items. The male was supposed to receive food from the food pantry but was told that someone had already picked up his food using his address. On Wednesday, officers were dispatched to the 700 block of Bank Street in reference to damage done to a vehicle. The complainant told officers that he went to his vehicle in the morning and found that someone had thrown an object on it causing a dent. On Wednesday, a male spoke with officers at the police department about an on-going dispute he is having with another male. He stated that someone recently tampered with his vehicle causing nearly $1,000 in engine repairs and he believes it is the male with whom he is having a dispute. The incident remains under investigation.